Last week, a diplomatic, security, and military storm began brewing between the Ukraine and Russia near the Sea of Azov. 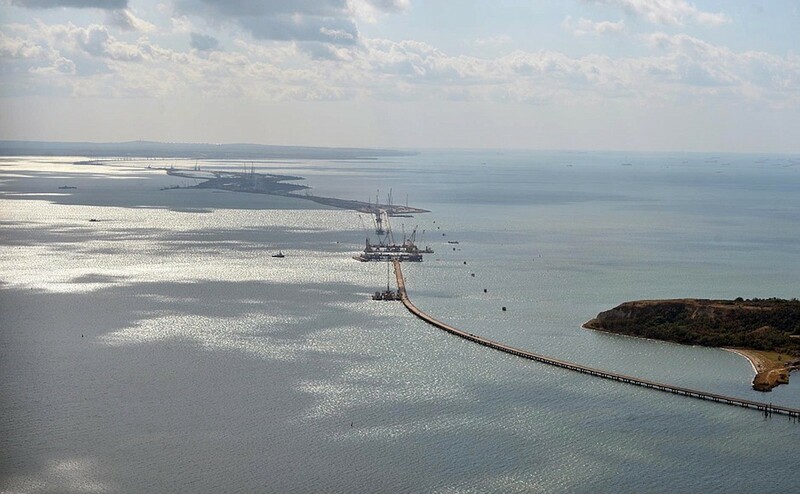 On 25 November, two Ukrainian armed patrol boats and a tugboat sought to enter these waters, accessible only through the Strait of Kerch (controlled by Russia since annexing Crimea in 2014), with the aim of reaching the Ukrainian port of Mariupol. But before reaching the Strait, they were intercepted by between four and ten Russian ships that denied them entry, rammed them, and, when they turned to flee, fired upon and ultimately boarded them – injuring several crew members. All three vessels are now in Russian custody, with personnel either in hospital or detention. There’s every reason to suspect that the entire incident was an accident, provoked by existing tensions in the area. Both sides have blamed the other for what occurred, with Moscow claiming that Ukraine’s ships had not submitted transit plans for approval to pass through the Strait, had manoeuvred dangerously, and ignored instructions from Russian border-guard patrol boats. In turn, Kiev claims that, firstly, it is not required to submit any plans under the 2003 agreement between the two states that governs the use of the Strait and which grants “freedom of navigation” to Ukrainian vessels. Further, Kiev asserts that its vessels did file the plans regardless but that these were never acknowledged by Russian authorities. Both sides have also escalated their response to the situation while claiming that the incident was a premeditated act by the other driven by ulterior motives. Ukraine’s President Poroshenko has declared martial law on the provinces bordering the Sea of Azov, stating that a Russian invasion is in the offing, asked for NATO to send vessels in support; and has also suggested that the whole situation is an effort by the Kremlin to prevent a split of the Ukrainian Orthodox church away from Russia. For its part, Moscow has moved additional anti-ship and advanced air defence missiles into the region. President Putin has also suggested that Poroshenko organised the incident as a deliberate provocation to galvanise his support ahead of the next election – one where he’s predicted to do poorly. Perhaps most intriguingly, Russian state media has wasted no time in suggesting a broader conspiracy is at play, with shadowy powers in Washington helping to stage the incident to force a cancellation of planned meetings between Putin and Trump (and indeed the American President subsequently did just that). So what actually happened and what can we make of it all? Firstly, Occam’s Razor says there’s every reason to suspect that the entire incident was an accident, provoked by existing tensions in the area. Perhaps the Ukrainian vessels forgot to file their transit plans, or perhaps they did file but the communications links weren’t working well and the Russian authorities never received them, or they did but there was an oversight in actioning the information. In any of these scenarios, noting the existing tensions between the two nations, it’s entirely feasible that both sides would have felt in the right and ready and willing to escalate to test the other’s mettle. Secondly, the resort to violence was clearly the result of Russian units’ actions. It was the Ukrainian vessels that were rammed and, when they sought to withdraw, were fired upon and boarded. They were attacked by Russian naval forces that were already superior in numbers and apparently also called on fighter jets and attack helicopters for support. Lastly, although both countries have suggested ulterior motives on behalf of the other, it is a move particularly typical of Moscow – in those situations where it has directly caused the actual violence – to claim the status of victim and also to blame the West for its troubles. At Kerch this week, it is dark American powers forcing Russia to defend itself, with the aim of stalling the Putin-Trump meeting, no doubt to disrupt the much good work that would have occurred there. In May this year, when Russian intelligence operatives attempted to kill a former defector, Sergei Skripal, with nerve gas on British soil, it was the CIA, MI6, or both who were to blame, seeking to tarnish the Kremlin’s image for their own sinister aims. But beyond these points much remains unclear, certainly regarding how events will end as the current crisis remains unresolved at this point. But those with an interest in security affairs in general and Russia, in particular, might find it instructive to note how power games are played in Eastern Europe.